I’ve been dabbling with trail running for several years now. During my last year in Atlanta, I participated in the Dirty Spokes trail running series as I tried to branch out from road running. And I have the scars to prove it, as I ended up on the group during every race that first year. 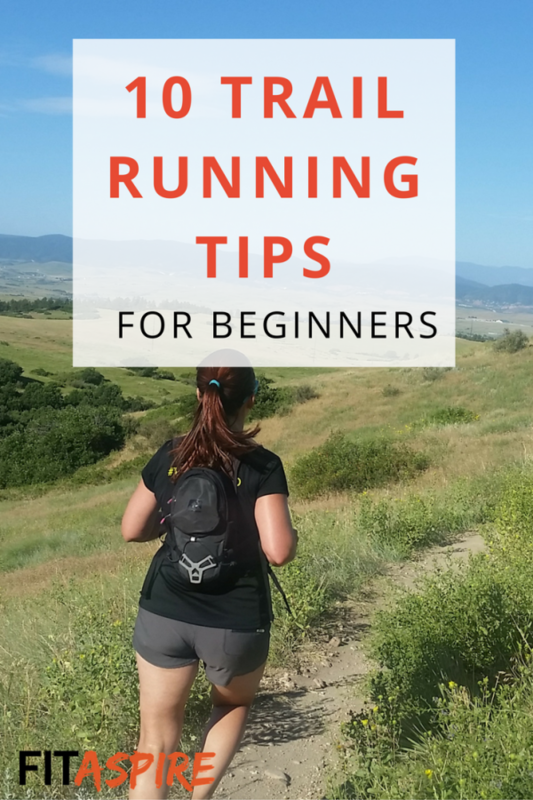 The good news is that I am using those more painful experiences create this guide with trail running tips for beginners! Since moving to Colorado over four years ago, I’ve incorporated trail running into my training regularly. While I haven’t done as many trail races here, I recently ran as part of a 5-person relay at Chase the Moon, overnight trail running race. With my history of painful trail races, you may be surprised to hear I didn’t fall once while covering 12 miles in the dark! Even if you don’t plan to enter a trail running race, there are a number of benefits to including trail running in your training. You will build sport-specific strength, thanks to the frequency of hills you’ll find on most trails. This is a nice alternative option to hill repeats to build your strength. You’ll also improve your balance, which is something I really had to work on. 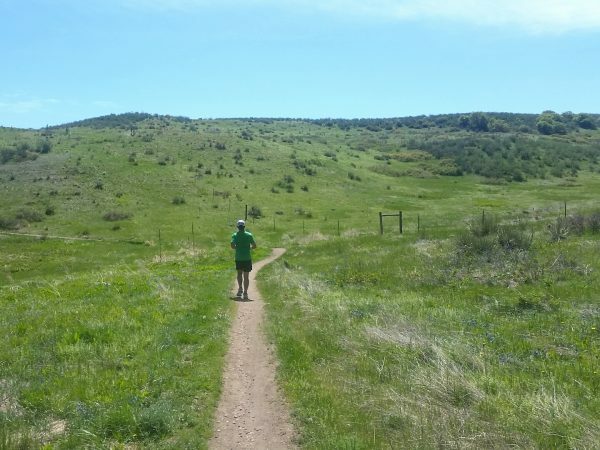 Running on the uneven terrain you’ll find on most trails will help you learn to adjust quickly as your body naturally works to keep you on your feet. Improved balance will make you a better runner, as you won’t have to work as hard to keep that balance during road running – which leads to a more efficient stride (less energy expended = more efficiency!). You’ll also find that trail running uses different muscles than running on the road. This change in muscle stress can help balance out any areas of imbalance, which may help prevent overuse injuries. When you run on the road, you may shuffle your feet closer to the ground with each step. If you do that on a trail, your foot will catch on every rock and root that you run past. Make a point to lift your feet a bit higher with each step to avoid those obstacles. I have developed a habit of taking higher steps than I really need to, which has really helped minimize the number of times I trip or fall on the trails. When you are starting on trails, you will find that it takes a lot more energy to cover the same distance you would on the road. That’s because you have more varied terrain, hills, and mental awareness throughout the run. Instead of focusing on the number of miles you want to cover, shift your run goal to time (50 minutes, instead of 5 miles). During long runs on the road, I often zone out while running. When on a trail, you’re going to want to focus a bit more on where you’re putting your feet. Stay alert and stay focused on the trail in front of you to avoid tripping over something in your way. If you want to see the view around you, it might be worth stopping for a few minutes to make sure you don’t lose your footing in the process. Trail runs are rarely supported by water fountains and rest stops along the way, so make sure you’re prepared with your own hydration. You don’t want to get into the middle of a trail and realize you are almost out of water, as it’s often a long way back. A running backpack is a great option for carrying a larger volume of water, while keeping your hands free. >> Read more about running hydration options. Even when you follow the time vs distance method of planning, you are likely to be more sore than usual after your trail run. The great thing about trail running is that you are using more muscles to stay on your feet, but that means you may use muscles you aren’t used to using regularly. Plan extra time for stretching, foam rolling, and your recovery routine after your run. Yield to horses & mountain bikes. Yield to uphill runners when you are going downhill. Stay on marked trails. That includes running through puddles and mud in the marked trail, as running around that makes the trail wider. 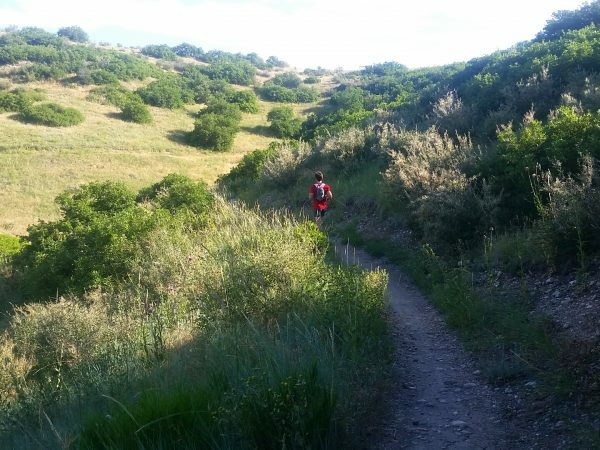 You are likely to encounter more hills than normal during a trail run. Anything from steady grades that last for miles, to the short steep hills that are common on mountain bike trails. Approach these as you would hills on the road — slow your pace, shorten your stride, look slightly up the hill, and push on. If it’s a very steep hill or covered in slippery leaves, you can also walk the uphill. I find this is more common in long distance trail running. As mentioned above, trail running can be hard work. That means you’ll want to adjust your pace to match the terrain. Instead of trying to hit your road running paces, listen to your breathing and adjust your pace down to match the effort. Your training paces will be slower and that’s okay! Many trails are located in secluded areas, so running safety is even more important. Make sure you tell a friend where you are going and when you expect to return. Always bring your cell phone, although you should be aware that it may not have service in all locations. You may want to run with a friend, for added safety and support. 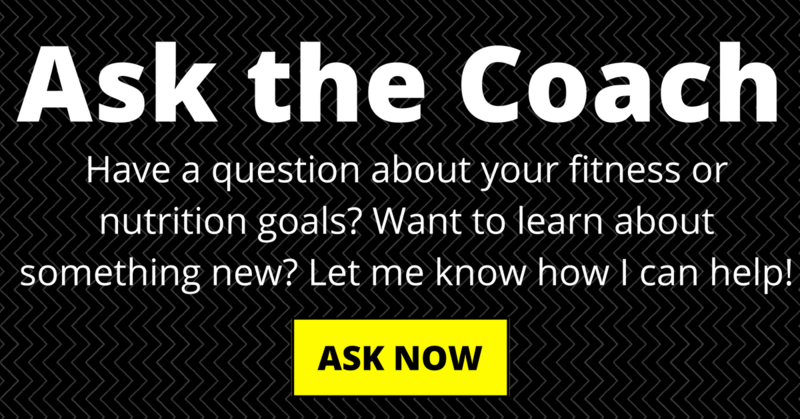 Now that you’ve put the first 9 tips into practice, it’s time to sign up for a trail race! Try the American Trail Running Association (ATRA) or Trail Runner Magazine for a few good race calendars. Or simply search for “your city” and “trail running race” to find other options near you. There are races of all distances, just like you’ll find in road running.